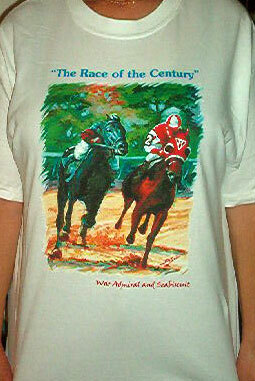 "THE RACE OF THE CENTURY"
Perhaps the most antcipated and exciting races of all time was between these two champions, Seabiscuit and War Admiral. This race featured, Seabiscuit a small horse from the West, against the Triple Crown winner and Eastern champ, War Admiral. The world stopped for theses two when they finally met at Pimilco, November 1, 1938. Delgado, captured that precise moment when Seabiscuit the underdog, with Jockey Woolf up, took that glance at his rival at the final turn and knew that they where not to be taken. 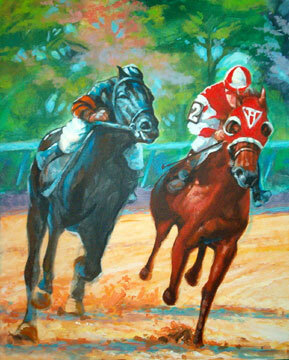 Seabiscuit won handingly, as he crossed the finish line leading by 4 lenghts over War Admiral. Are presently available by individual orders only. Only 25 will be produced! Each is signed and numbered by the artist and are on museum quality stock. They measure 22" x 28" and each comes with a certificate of authenticity. *Doubled matted and comes ready to hang. Shipping and insurance is included within the continental United States. smaller version of this limited edition. It measures 11" x 17" which fits into a standard size. A very limited edition of only 150 have been produced. They are priced at only $99 for each collectors piece. 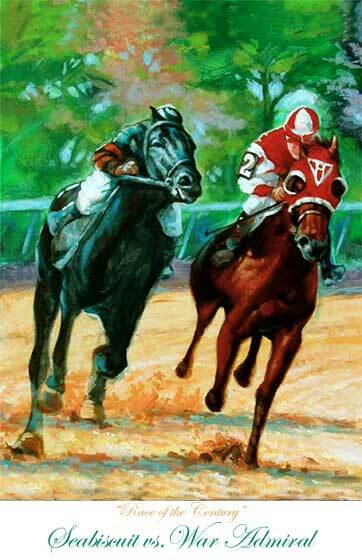 $99.00 11" X 17" Lmtd edition Lithograph "Seabiscuit vs War Admiral"
numbered and signed by artist-shipping included! 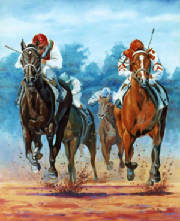 169.00 Framed 11" x 17" Seabiscuit Lithograph- Includes wood frame, 2 acid free mats, glass, wiring, comes ready to display! Includes shipping! ORIGINAL CANVAS GICLEES(HAND ENHANCED) REPRODUCTIONS. Are available at a very limited supply. 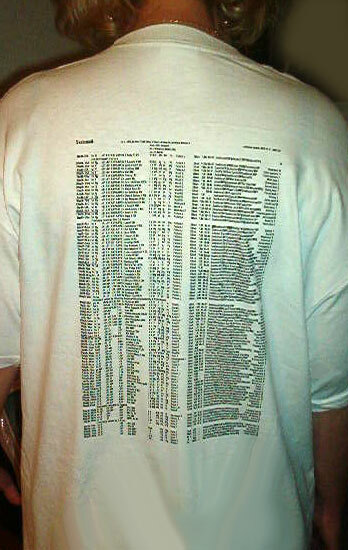 Please allow three weeks for orders to be filled. Each is considered an original since they each include handpainting from the artist! Thus making the piece a valuble one of a kind collectors item. On actual canvas and measures 22" x 28"
$369.00 Canvas reproduction $449.00 Frame Canvas reproduction Beautifully framed and ready for hanging. Shipping and insurance is included within the continental United States. All orders includes shipping and insurance within the continental U.S.
Sizes available: medium, large -extra large (SOLD OUT).